Date: 1645 possibly first editon. Description: Very decorative 17th century map of Surrey featuring Woking, Dorking, Guilford, Godalming, Farnham. Copperplate engraving with coats of arms and decorative title cartouche. 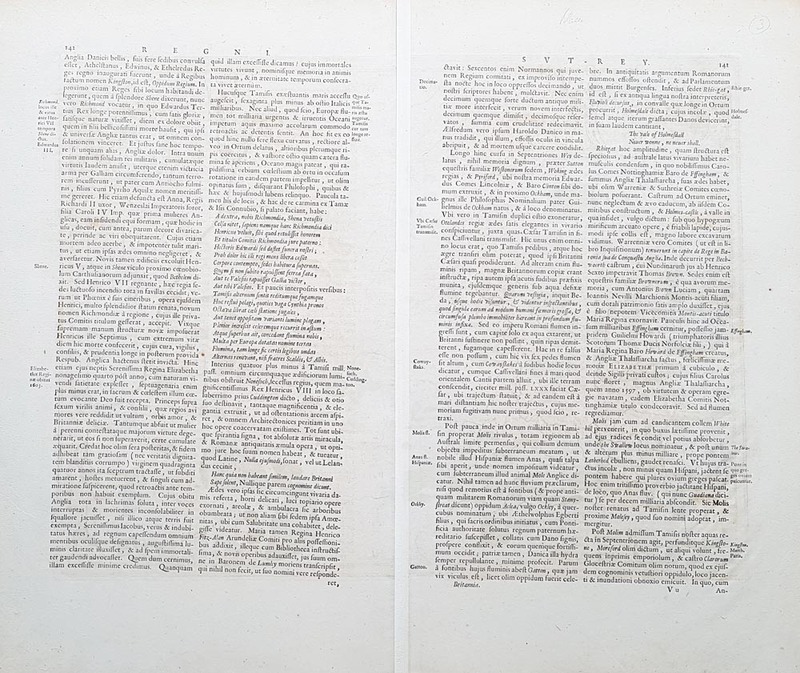 Latin text verso. Condition: Good image, bold imprint, later hand colouring, folding copy as published, generous margins. Image size: 385 x 500mm, 15.25 x 19.75" approx. 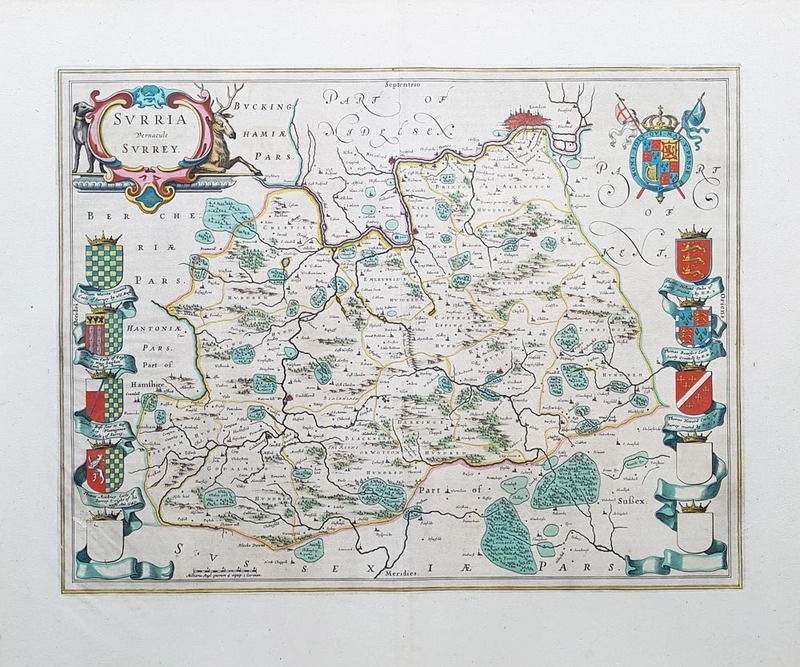 17th century map of Surrey by Joan Blaeu circa 1645.